Whether traveling to a new place, running a destination marathon, or helping a client reinvent an event, I thrive on new experiences. Next week I’ll be making my second trip to India, but I’m excited for the experience of attending an Indian wedding for the first time! One of the things I love most about my job is helping clients bring new ideas to life. 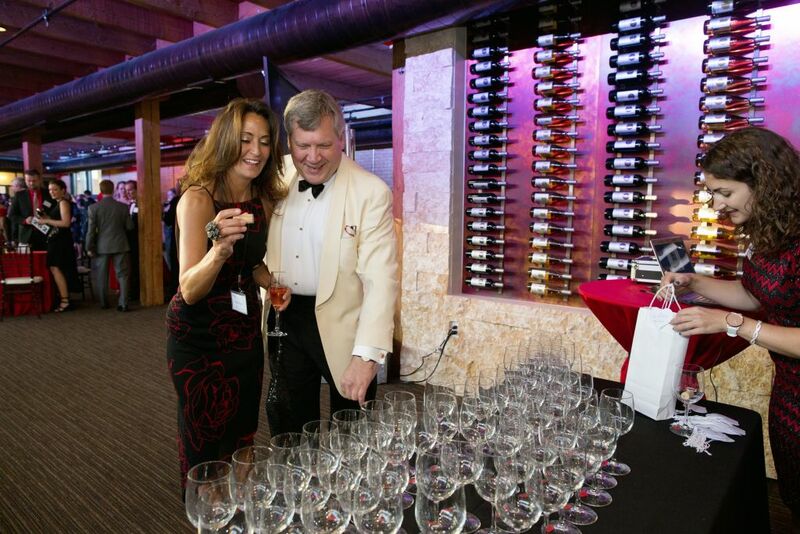 Read on for ideas for infusing new elements of fun and mission into your next event. 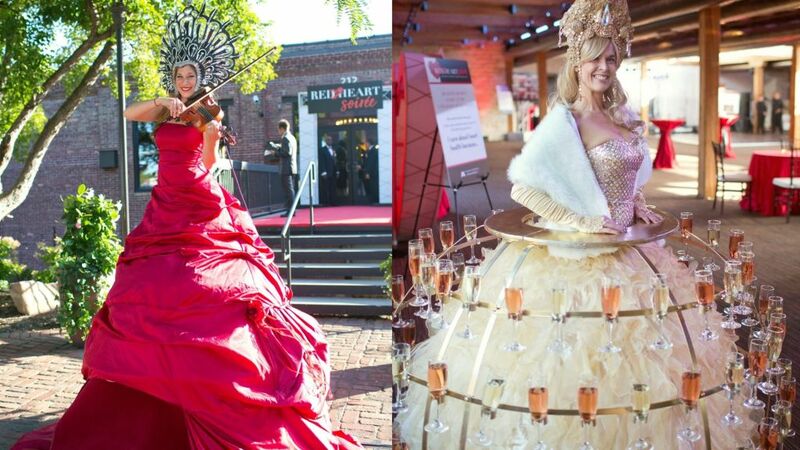 Our partnership with Enticing Entertainment has resulted in some wildly popular interactive entertainment elements including the live red carpet and champagne dress. We were recently introduced to a new game of skill inviting guests to try their luck at tossing a cork into a glass with the opportunity to win a bottle of wine. If the cork lands in a glass, the guest wins the bottle of wine that corresponds to the number on the glass. We would be happy to share the details of this exciting game! 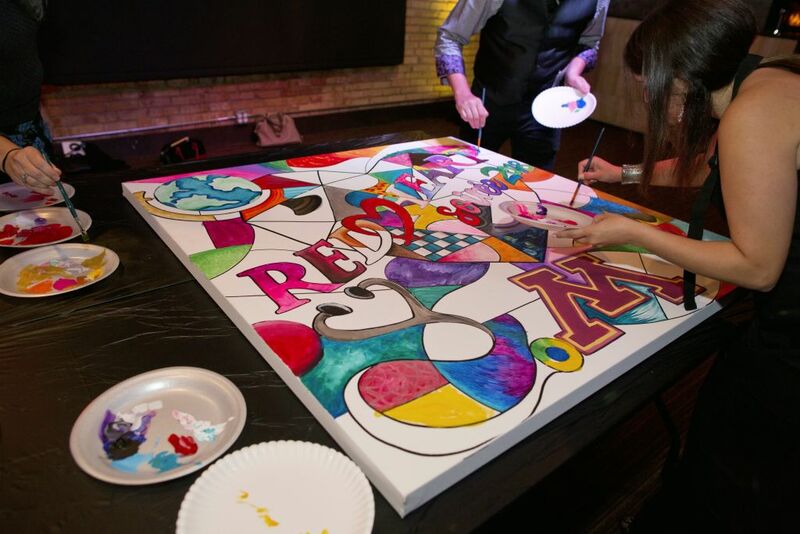 Shane and Kelly of Anderson Illustrations have partnered with several of our clients in creating a custom mural that is painted during the event reception. This activity is guaranteed to create a buzz! 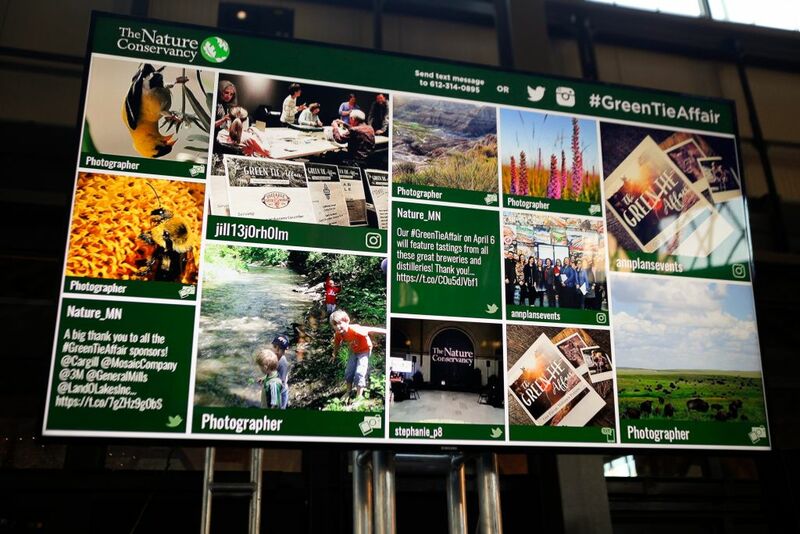 Engage your guests and expand your social media reach with a social media wall that invites guests to share Instagram photos and tweets using a customized hashtag. Did you know that balloons are back as a popular decor element? 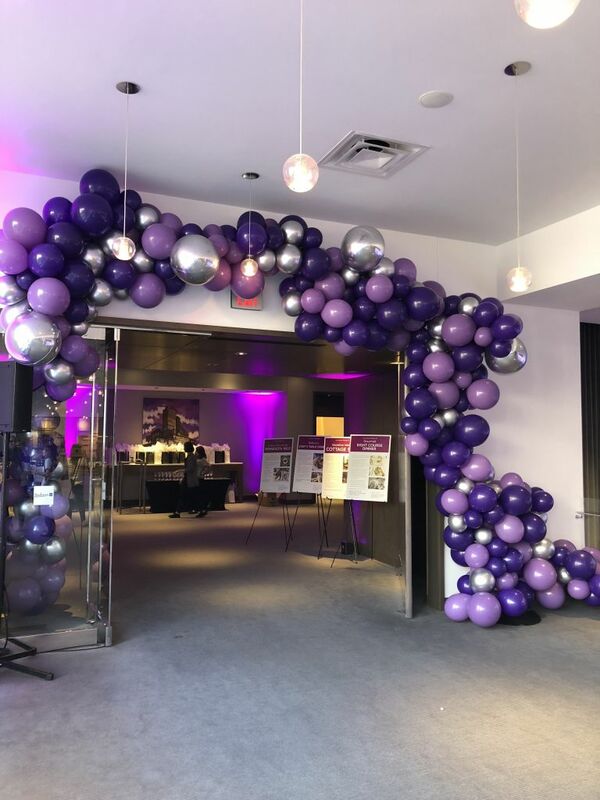 This fall, Andon Balloons has been creating some stunning reception balloon sculptures and backdrop pieces for our clients. We love finding creative ways of integrating mission throughout an event. 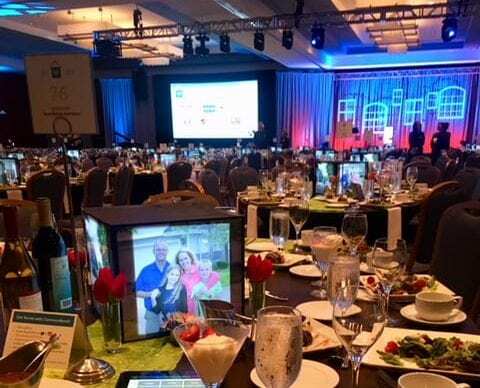 This year’s centerpieces at CommonBond’s Celebration of Home GrandeGala featured resident photos. 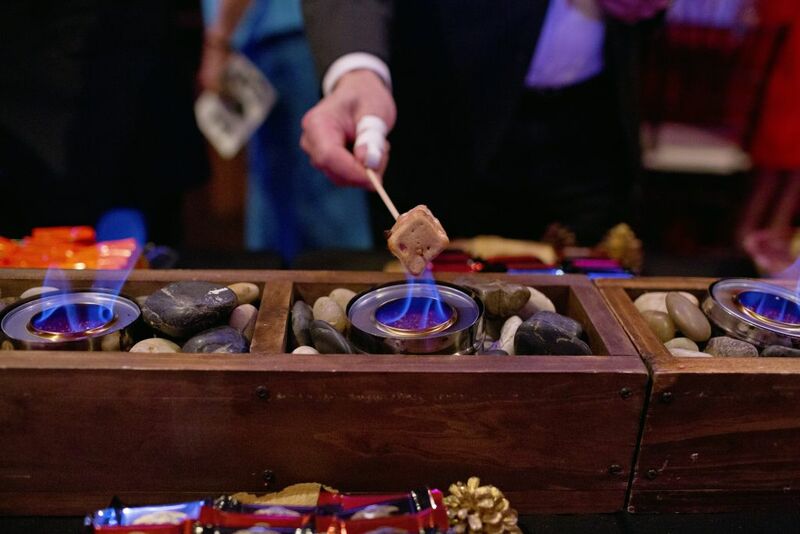 North Mallow’s interactive gourmet s’mores bar is a fun way to end the evening on a sweet note. We are thrilled to be starting a new partnership with the University of Minnesota Foundation’s Jeff Passolt’s Golf Classic “Fore” Diabetes Research. As the cold weather months settle in, we are excited for the opportunity to be planning for a sunny day of golf. 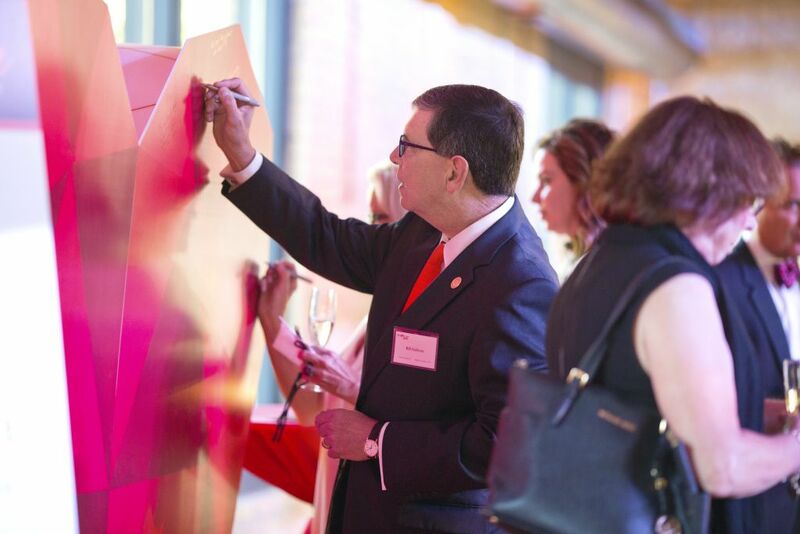 Whether you are updating small details or making significant changes, we hope your next event delights and surprises your first-time and returning guests alike.